Three reasons to have your North Andover carpets cleaned by Colonial Carpet Cleaning - Health, Value, and Happiness! Colonial Carpet Cleaning provides quality carpet steam cleaning in North Andover to homes and businesses. Call (978) 801-1353 for a quote today! Deep cleaning your North Andover carpet via hot water extraction is recommended by most carpet manufacturer's including the world's largest carpet manufacturer, Shaw Industries Group. Colonial Carpet Cleaning is proud to provide area rug cleaning in North Andover MA. You deserve a clean rug. Your North Andover family deserves a healthy rug. Colonial Carpet Cleaning is proud to provide oriental rug cleaning in North Andover MA. You deserve a clean oriental rug. Your North Andover family deserves a healthy oriental rug. For fast, thorough upholstery cleaning in North Andover, no one beats Colonial Carpet Cleaning's trained experienced technicians and professional friendly upholstery cleaning service in North Andover, MA. 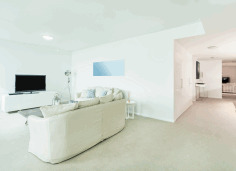 The carpet cleaning pros at Colonial Carpet Cleaning provide sofa cleaning in North Andover. Call today for a free estimate. 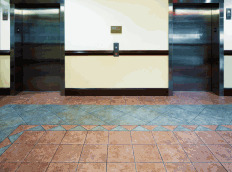 Clean the carpets in your North Andover office, restaurant or commercial property. Call Colonial Carpet Cleaning for a quote on commercial carpet cleaning in North Andover MA today! Don't let water damage at your North Andover property turn into structural damage. Call Colonial Carpet Cleaning for fast water damage cleanup and restoration in North Andover MA. Consumer stain removal products can damage your North Andover carpet or upholstery. To be sure the stain comes out and your carpet or fabric is returned to its original state, call the experts at Colonial Carpet Cleaning for stain removal in North Andover MA. Ordinary odor removal products can damage carpet or upholstery. For safe and effective odor removal in North Andover MA, call the experts at Colonial Carpet Cleaning. 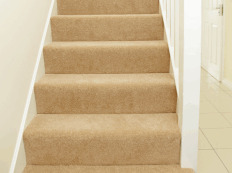 Wondering about the price to have your North Andover carpets cleaned? Call the professionals at Colonial Carpet Cleaning for superior carpet cleaning services at a fair price.